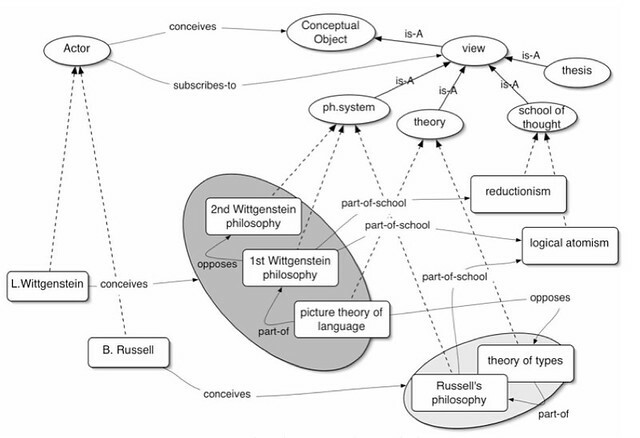 The PhiloSURFical ontology characterizes the multiple dimensions of the philosophical domain at a high level of abstraction, thus facilitating reasoning and data integration tasks in cultural informatics applications. 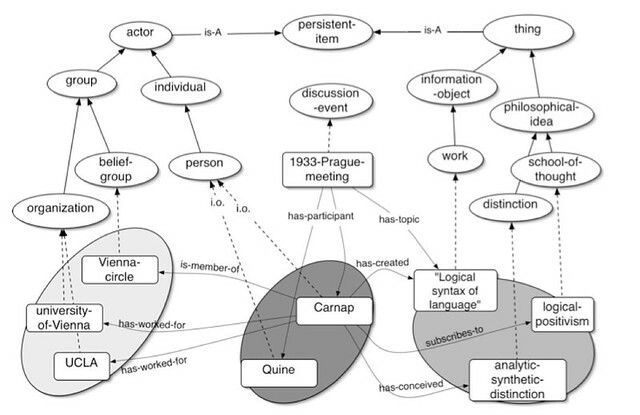 The ontology contains classes and relations modeling concepts related to both the factual (eg. events) and theoretical (eg., ideas) dimensions of philosophy. It has been constructed as an extension of the CIDOC-CRM ISO standard. In particular, the ontology was constructed so to support philosophy students in understanding key aspects of the discipline’s discourse. This is achieved by means of a pathway creation process, i.e., an approach that gives students the means for actively contextualizing the resources they have found so to better analyze and interpret them in the light of the multiple roles they play in the world of philosophy. the intellectual lineage of a concept/theory (a learning path that follows the influence of ideas throughout the history of thought, across different areas and historical periods). Here are some diagrams of the entities and relations the ontology represents; much more information about this research work can be found in the papers section of this website.